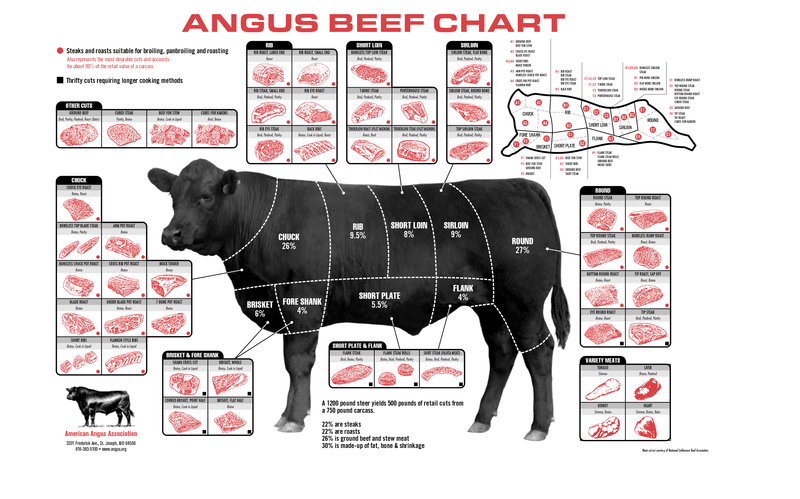 Other brands may have “Angus” in the name but there’s only one true Certified Angus Brand Beef. Certified Angus Beef Brand Beef traces its roots back to 1978 and is proud to be one of America’s first premium beef brands. Some of the nation’s finest ranchers came together with scientists, such as the renowned Dr. Bob VanStavern from the Ohio State University, to set their uncompromising standards that still form the cornerstone of the Certified Angus brand. 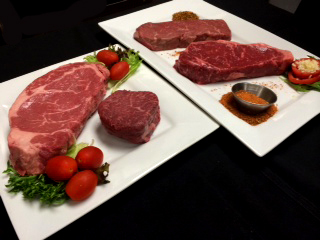 In fact, those standards are so strict that Certified Angus Beef prime, choice and select grade beef passes up to 9 more specifications than USDA Prime beef to ensure standard marbling, maturity, size and consistent flavor. Only 1 in 4 Angus cattle will be deemed worthy of being Certified Angus Brand Beef cattle. Certified Angus Brand Beef is owned by America’s Angus Association and its member ranchers, and works hand in hand with cattlemen and women to help them raise the best cattle. Certified Angus Beef is dedicated to preserving the great reputation and excellent flavor of Angus beef. Come to The Caroline for a delicious steak or burger and find out why the name “Angus” is synonymous with great tasting beef.